Menlo Park, CA – July 24, 2018 –Transcriptic announced today that it has entered into a multi-year collaboration agreement with Eli Lilly and Company whereby Lilly will license the Transcriptic Common Lab Environment (TCLE) to enable on-demand drug discovery operations at its San Diego Biotechnology Center. 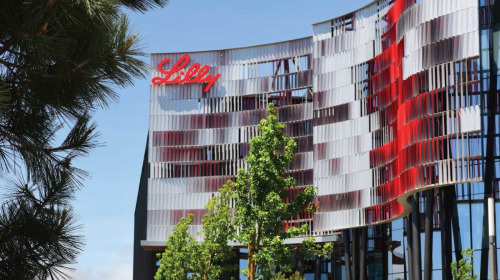 The solution Transcriptic is developing for Lilly will allow researchers across the globe to remotely design, synthesize and screen investigational molecules at the Lilly Life Science Studio (L2S2). Headquartered in Silicon Valley, Transcriptic created the first robotic cloud laboratory platform for on-demand life science research. The company’s TCLE integrates laboratory processes, protocols and instruments together with IoT technologies through a single user interface to enable robust automation, scalability, flexibility and remote instrument monitoring. Using the power of automation along with artificial intelligence and machine learning, Transcriptic and Lilly will seek to shape the next generation of drug discovery and expand the reach of individual scientists to test new ideas, while reducing the cost, accelerating the speed and minimizing the environmental impact of research activities.